Houston Rockets legend Hakeem Olajuwon is considered one of the greatest basketball players to ever play the game. Among his many career achievements, he is a 12-time All Star, two-time NBA Champion and was inducted into the Hall of Fame in 2008. 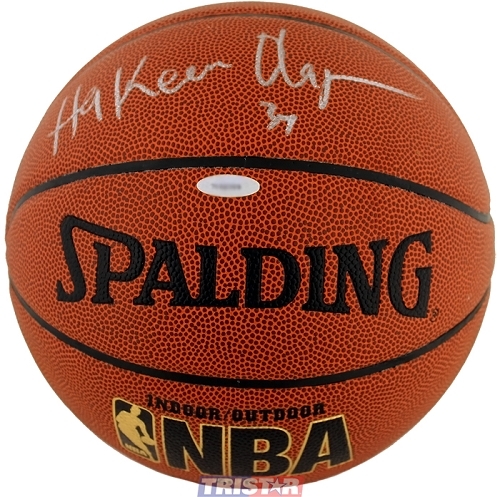 Hakeem personally hand signed this Spalding Indoor/Outdoor NBA Basketball in silver. Each basketball includes a tamper evident TRISTAR Authentic numbered hologram, which can be verified at www.tristarauthentic.com.